Bowling Green State University is an institution of higher learning in Bowling Green, OH. These photos were sent in by AS. He writes: "These urinals are located on the bottom floor of Hayes Hall on the campus of Bowling Green State University in Bowling Green, Ohio." This one was taken at the Oaks Dining Center. AS writes: "The Oaks claims to host a number of dining stations to satisfy your every craving. The Shoots station serves delicious vegan options, the Hearthstone Oven serves pizza and other Italian fare, the Market Fresh station offers fresh salad and soups, the MyChef and The Kitchen stations are always serving home-cooked meals and at the Baker's Crust you can find freshly baked desserts. But, let's face it - this is just a fancied up version of institutional food service. 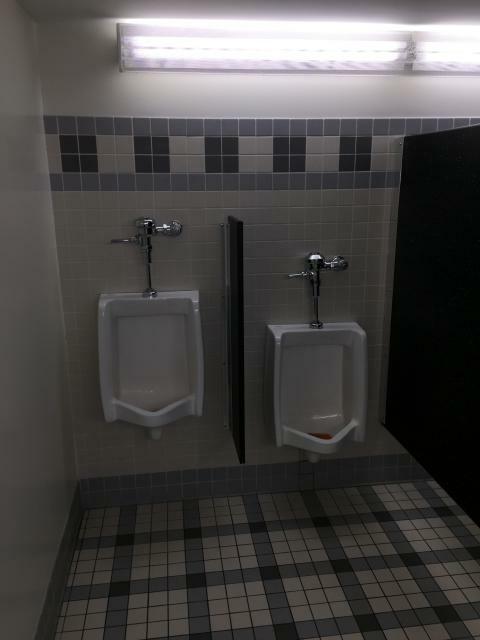 Thank goodness the urinals are awesome!" 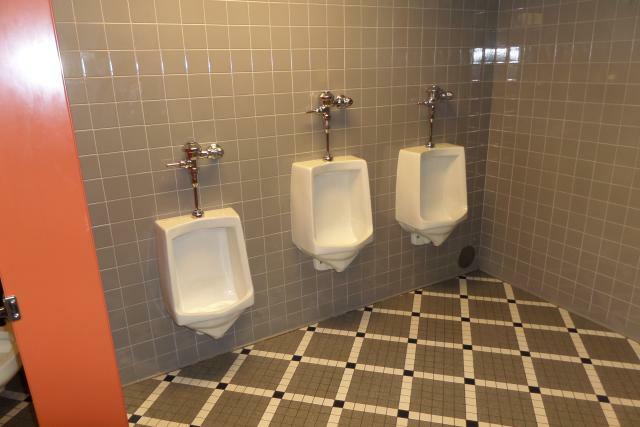 AS took this picture at the Bowen-Thomson Student Union: "These are the urinals of the Bowen-Thompson Student Union on the campus of Bowling Green State University, Bowling Green, Ohio. "The BGSU union, like most college unions, is the hub of activity with special events, food service areas, campus bookstore and more. 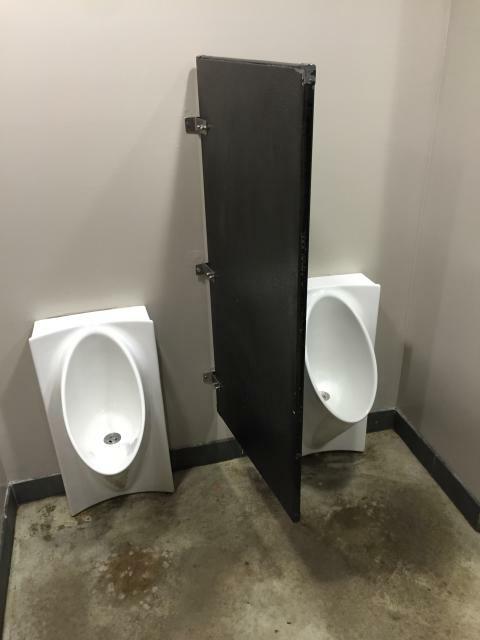 "These urinals are located at the bottom of the main staircase." 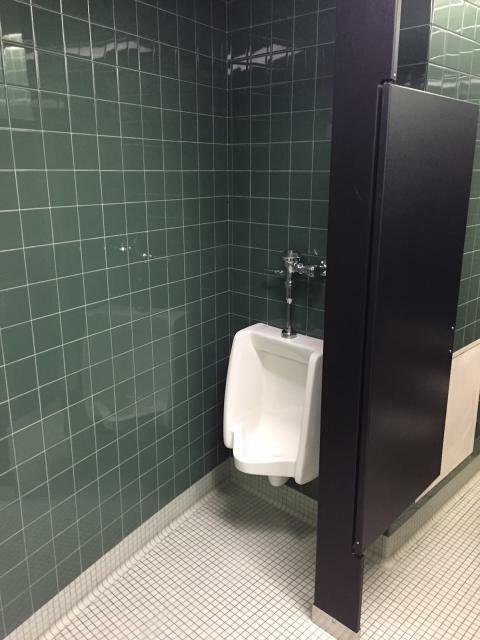 AS also sent this photo in 2017: "This is the urinal in the Chapman Learning Community, first floor of Kohl Hall, Bowling Green State University, Bowling Green, Ohio. The dorm is predominantly freshmen at the prestigious NW Ohio university and is co-ed by wing or floor."